COLLECTIBLE CARD GAMESACCESSORIESCARDFIGHT!! VANGUARDFORCE OF WILLMAGIC: THE GATHERINGOTHER GAMESPOKÉMONSTAR WARS DESTINYWEISS SCHWARZYU-GI-OH! 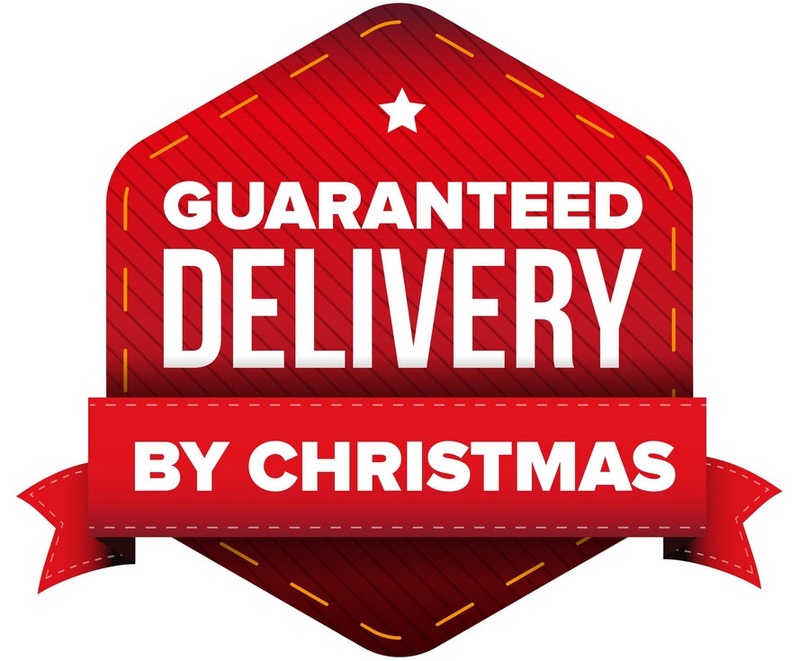 At L’Imaginaire, we pride ourselves on our customer satisfaction, that is why we are guaranteeing delivery before December 25th 2018 on all orders shipped to Quebec. All you have to do is order before December 17th 2018. Every order with pre-ordered items must be paid online. You can however select "in store pick-up" option. 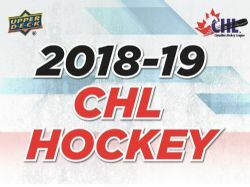 Chronology Volume #1 is the first release in connection with the NHL Alumni Association highlighting retired players. 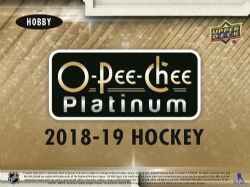 Chronology Volume #2 (releasing summer 2020) will consist of current & retired players, thereby creating one of Upper Deck’s most comprehensive living sets. Look for the famed Canvas Masterpieces cards. o 50-card set, continuing the lineage of the famed basketball Chronology Masterpiece painted cards from a decade back. o Featuring original art from the trading card industry’s finest sports artists. o Grab Green Border and Black Border parallels, #’d as low as 1-of-1. 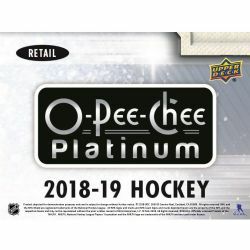 o Unbelievable checklist of approximately 300 signed cards. o Cards feature team-based prefixes allowing team collectors to build team sets. Find Letterman Patches, including a sprawling checklist of up to 200 different players. o Every player featured with a full nameplate of letter patches to collect. o 90% of letter patches are signed and all of them serial #’d of 20 or less. o Look for between 4-6 Letter Patches per inner, on average. Diamond Relics – including auto versions, seeded at a rate of at least (1) per inner, on average. 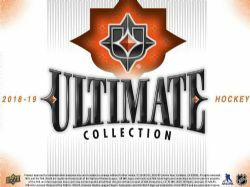 Gold premium parallels – up to 100 cards #’d of 25 or less featuring auto, memorabilia, or combo auto/mem. Combo Cuts – true one-of-one dual cut signature providing massive chase hits. 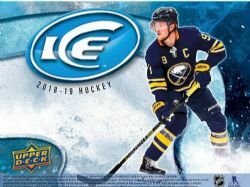 2018-19 HOCKEY - UPPER DECK CHRONOLOGY VOLUME 1 (P4/B1) is categorised TRADING CARDS / HOCKEY / PACKS AND BOXES and sold by l'Imaginaire, a store and specialised website. Copyright © 2017 Imaginaire Shop. All rights reserved.